Sydney Folk Festival - at last! Any EC players in Ayrshire, Scotland? How Do Concertina Reeds Go Out Of Tune? The demise of the English concertina. 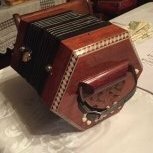 Concertina players in area of Turin, Italy?